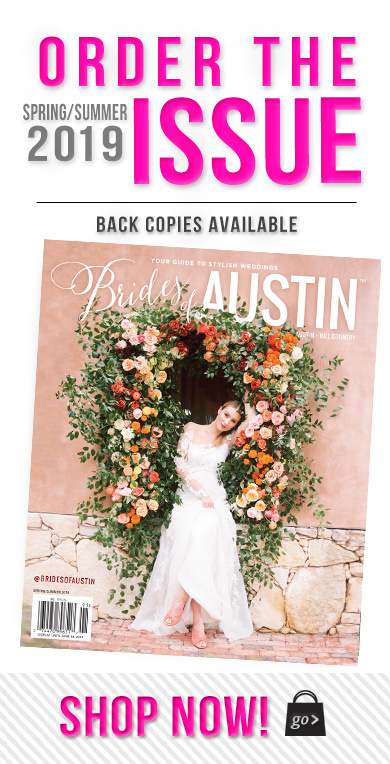 The Brides of Austin Spring/Summer 2018 Cover is Revealed! Drum roll please… After a week of sneak peeks leading up to the mag release, we are thrilled to finally unveil our incredibly fun-loving and playful new Spring/Summer 2018 cover! 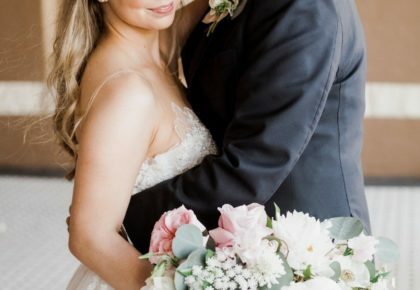 The new Brides of Austin fashion editorial captured by Julie Wilhite Photography took us to the streets of downtown Austin, channeling the spirited and colorful Austin bride. 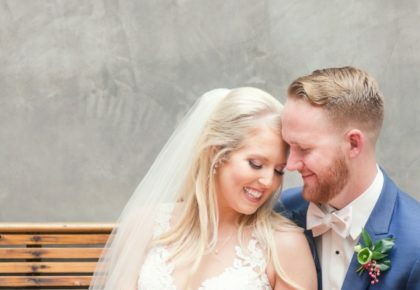 With fashion-forward looks styled with bold accessories, SprATX artists’ mural outside 800 Congress served as the perfect backdrop for our model bride’s edgy-chic ensemble. Wearing a Faille de Soie slim fit to flare Amsale gown with a sheer silk organza bodice embellished with French lace hand appliqué from Julian Gold Bridal, fish net stockings and silver pumps, our model bride stunned in this girlie attire. 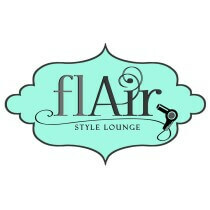 Tousled waves and a pop of color accentuating a bold cat eye updated this classic beauty look created by FlAir Style Lounge. A diamond wedding band from The Menagerie and a statement necklace from Anthropologie completed the look. 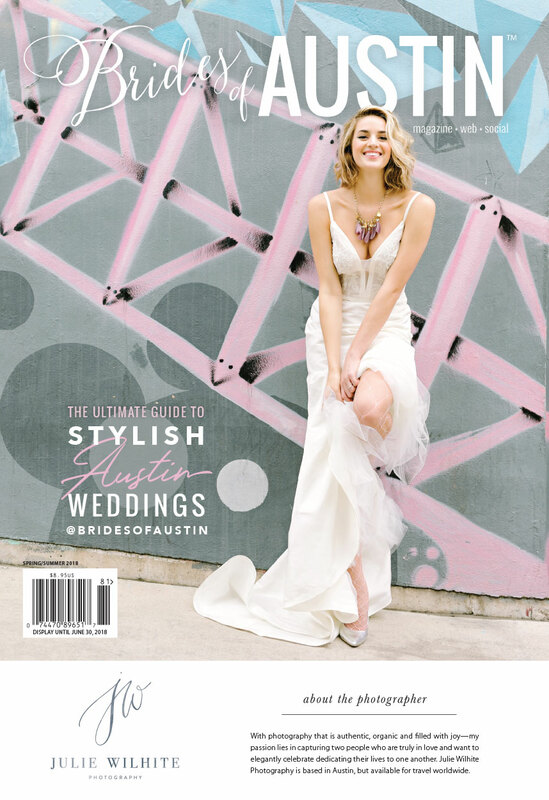 Be sure to check out the entire editorial starting on page 68 when the new Brides of Austin issue drops next week. Congrats to Julie Wilhite for capturing this incredible cover shot! Make plans to pick up a copy of the new issue when it hits newsstands next week or be one of the first to get your hands on the new issue by pre-ordering today. In honor of today’s cover reveal, take advantage of free shipping with your purchase of two or more mags for a limited time! Cheers!